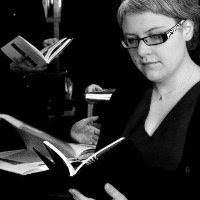 Alison Eales: I’m now in the final stages of my PhD, which is a critical history of Glasgow Jazz Festival focusing on the relationship between the Festival and the city. Last summer, Glasgow Music City Tours was launched, and Jill Rodger – the Director of Glasgow Jazz Festival – recommended me to them as a potential guide. As the name suggests, the company offers guided walking tours celebrating Glasgow's rich musical heritage and culture. The tours are led by a team of lively and knowledgeable guides, and the company is now developing bespoke tours alongside its regular Friday and Saturday outings. Having run successful tours for Celtic Connections, they approached me about writing and delivering a walking tour as part of Glasgow Jazz Festival. LJN: Where will you be taking people? AE: The tour starts at the Scottish Music Centre, who are very kindly opening up at the weekend to accommodate us. We’ll kick off there with a bit of background, and hopefully have some archive materials for people to browse before heading down Candleriggs and King Street. The star venue will be the Old Fruitmarket, which Glasgow Jazz Festival has championed ever since first using it in 1993. LJN: With all the brownstones, Glasgow is New York in disguise, right? AE: Actually, there are some parallels between Manhattan and the Merchant City area of Glasgow where the Festival takes place. Manhattan was rezoned so that artists could live and work in its old industrial loft spaces; the Merchant City’s old wholesale markets, like the Old Fruitmarket, are now home to performance spaces, arts organisations, and places to eat and drink. We’re still waiting for a Merchant City equivalent to Ornette Coleman’s ‘Friends and Neighbours’ though! The Old Fruitmarket has also been compared to Bourbon Street, with its beautiful ironwork and cobbles. It's a great little hub for the Festival, and has a fantastic acoustic for all kinds of music. LJN: Who are the interesting characters who stand out? AE: We have some great stories about Dizzy Gillespie, Tony Bennett, Sarah Vaughan, George Melly, Jimmy Smith, Frank Sinatra, George Benson and Slim Gaillard. LJN: Any chance of a spoiler - just one good story? AE: I will just say this: I was amazed at how many stories involve Jill having had to take people clothes-shopping. LJN: There's a rumour it rains in Glasgow. Are there places to shelter? AE: We’ll never be too far from shelter, and we hope that the Festival weekend offers us some nice weather - but waterproofs are recommended, as are comfy shoes! LJN: Do the walkers end up with a nice cup of tea? Or what? George Benson singing "Kisses in the Moonlight" in Kelvingrove Park? AE: We're still finalising the route, but we're going to try to include some live music, and end the tour somewhere where people can indulge in a cheeky dram if they would like to! Glasgow Music City Tours have organized these walking tours in partnership with Glasgow Jazz Festival. The tours will take place each afternoon from Friday 24th June to Sunday 26th June. 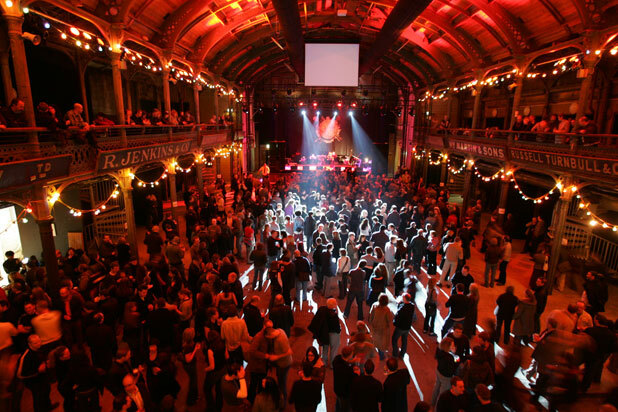 BOOKINGS at the Glasgow Jazz Festival website.